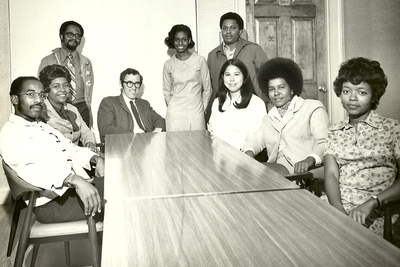 The Carnegie Scholars was a group of 30 minority students admitted to the University of Illinois’ graduate library program in the early 1970s in an effort to increase the diversity of the program. Library professor Nicole Cooke wrote about the history of the program in a recently published journal article. CHAMPAIGN, Ill. — Thirty minority students were recruited in the early 1970s to attend the Graduate School of Library and Information Sciences (now the School of Information Sciences) at the University of Illinois. Called the Carnegie Scholars, all but one of the black and Latino students graduated, and they went on to successful careers in and out of the library profession. The program was an outgrowth of Project 500, the University of Illinois’ 1968 initiative to increase the number of black students enrolled and increase the diversity of the campus. Like that program, the Carnegie Scholars suffered from discrimination, low expectations and a lack of support, writes library professor Nicole Cooke in a recently published article. 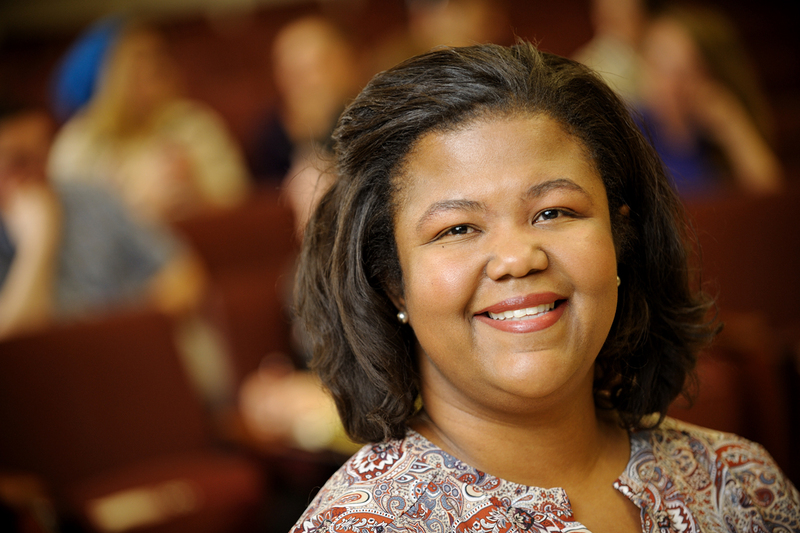 Illinois library professor Nicole Cooke does research in the area of diversity and social justice in librarianship. 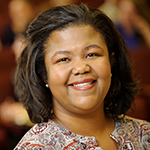 Cooke reviewed the history of the Carnegie Scholars program in her article, “The GSLS Carnegie Scholars: Guests in someone else’s house,” published in the inaugural issue of the journal Libraries: Culture, History, and Society. The article is based on Cooke’s research of library archives of applications records, student essays, grant applications, reports by the program’s director to funding agencies, internal memos and grade cards. The library school admitted 11 students in 1970 and another 19 students in 1971. Funded by the Carnegie Corporation and the U.S. Department of Education, the program covered tuition and provided the students with a stipend. Cooke said the Carnegie Scholars documentation stressed that the program aimed to serve “disadvantaged” and “underprivileged” students. While the materials spoke of students from “academically weak” schools with minimal preparation, Cooke found that all of them met the requirements of the graduate school. Despite this, the students were required to take remedial reading and writing courses in the summer before their program began. After complaints from the first cohort of students, who saw the courses as unnecessary and insulting, the requirement was removed. The grade cards commented not only on the students’ performance in class, but also on their personalities and appearances. Some faculty were consistently complimentary of the students’ performance and offered constructive criticism. But others were negative and antagonistic, and relied more on the physical characteristics and personality traits of the students, Cooke wrote. “The comments are what we would label ‘microaggressions’ now,” she said. In addition to a lack of faculty support, the Carnegie Scholars were isolated from the rest of the library students. Many only attended classes in the library school and studied elsewhere on campus with black graduate students from other programs, Cooke said. She wrote that while financial support of the students was crucial, “it was the in-house support of a dedicated program director that made the difference with this group of students.” Terry Crowley, a library professor, was the program director. Cooke tracked down 24 of the Carnegie Scholars and was able to interview or get a written statement from 15 of them about their experiences as graduate library students. She is writing a second journal article based on those interviews. Crowley also directly addressed negative comments by his colleagues. “He took a risk with his internal colleagues to defend these students,” Cooke said. The graduate library program has not had as many minority students enrolled at one time since the Carnegie Scholars, she said. “This is a very important chapter of this school’s history and university history,” Cooke said. “It’s important to the discipline as a whole. Forty years later, we’re still struggling with recruitment and retention of diverse librarians. Our workforce does not reflect the communities we serve. Editor’s note: To reach Nicole Cooke, email nacooke@illinois.edu. The journal article “The GSLS Carnegie Scholars: Guests in someone else’s house” is available from the University of Illinois News Bureau.